Introducing the new KS-09J bench top programmable Automatic Heavy Duty Cut & Strip Machine. 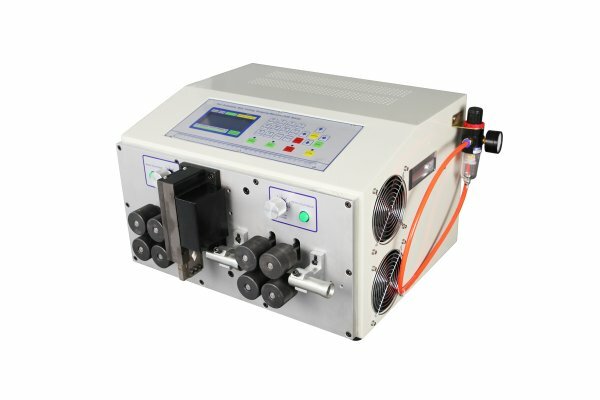 This new KS-09J Cut & Strip Machine will process cables with a maximum of 16mm O.D. 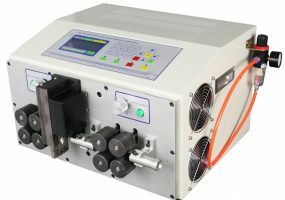 This Cut and Strip Machine is easy to program via menu driven software and an LCD display and is fast to setup with no change of tooling required other than the guide tube. 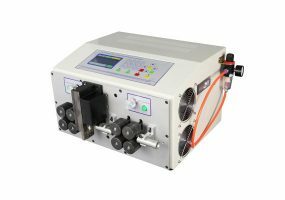 Up to 99 different cutting and stripping programs can be stored making this machine suitable for a very wide range of applications. It offers a high level of accuracy +/- 0.002 x length and able to cut and strip up to 2000pcs/hour. This machine also features a middle strip capability. Max Cable Size: 16mm O.D.